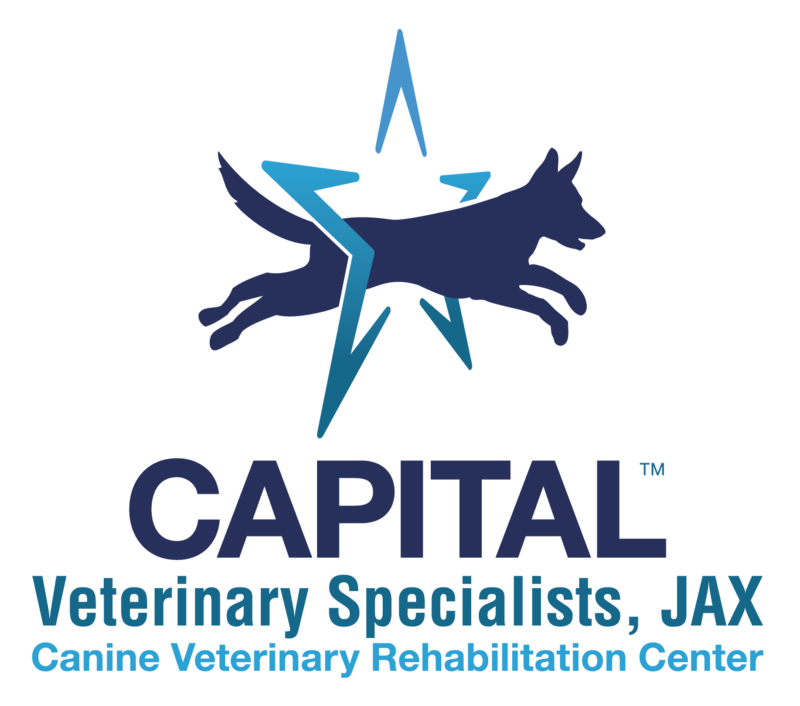 If your pet is having trouble standing, walking or moving due to age, obesity, injury or after surgery, Canine Rehabilitation can help. 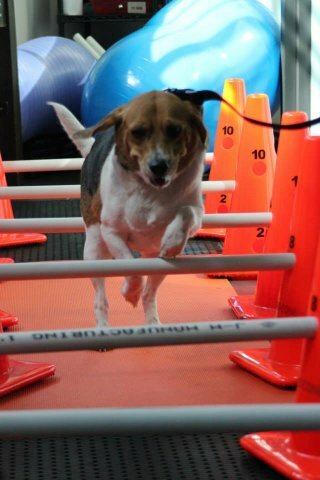 Our Certified Canine Rehabilitation Practitioner can tailor a program to your pet’s individual needs. 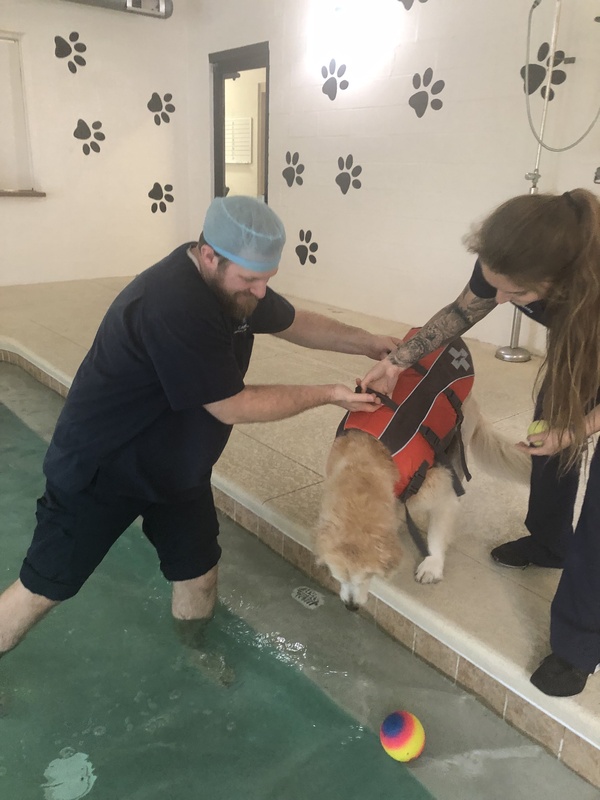 We use both passive range of motion exercises, active exercises, cold laser therapy, and hydrotherapy to help our patient’s achieve their goals. Combined, all of these therapies work to help restore muscle and joint function, enhance fitness, promote weight loss, and reduce pain associated with arthritis and injury. These therapies can also prevent pain from returning. From cooling off on a hot Florida day to staying in shape, the benefits of swimming for humans are well known. 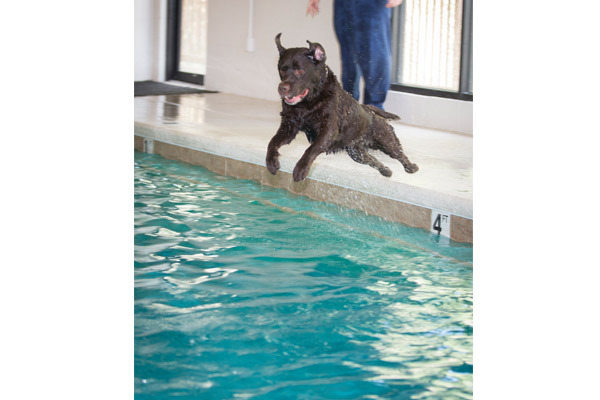 Research has shown that our four-legged friends can also reap similar benefits from being in the water. 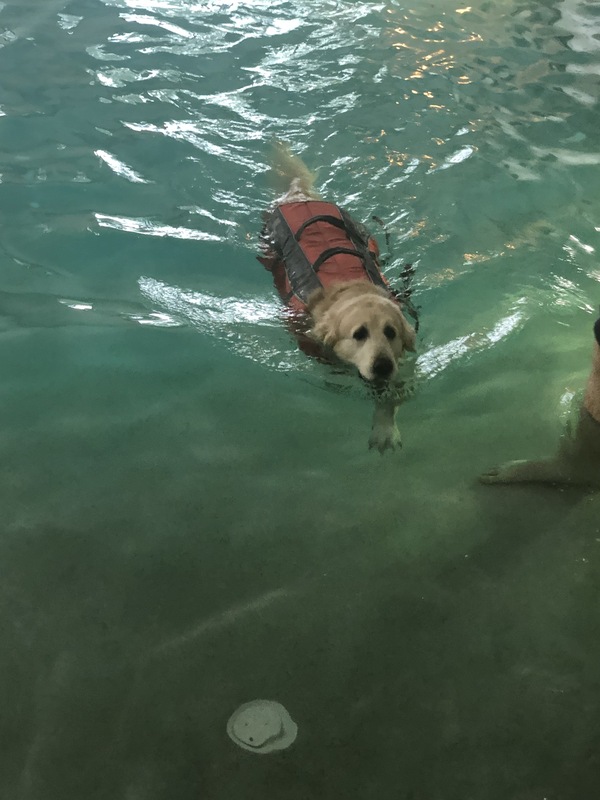 Aquatic therapy can help your pet recover following orthopedic surgery and can help arthritic dogs work their joints, maintain muscle mass, and move around comfortably all while minimizing discomfort. 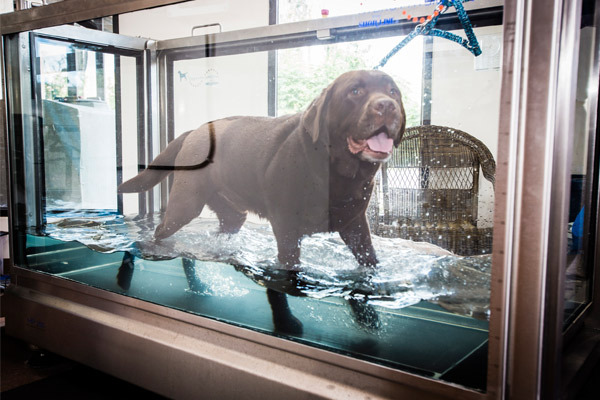 Hydrotherapy at Capital Veterinary Specialists Jax encompasses swimming in our indoor, solar-heated, salt water pool and sessions in our Hydro Physio Underwater Treadmill. 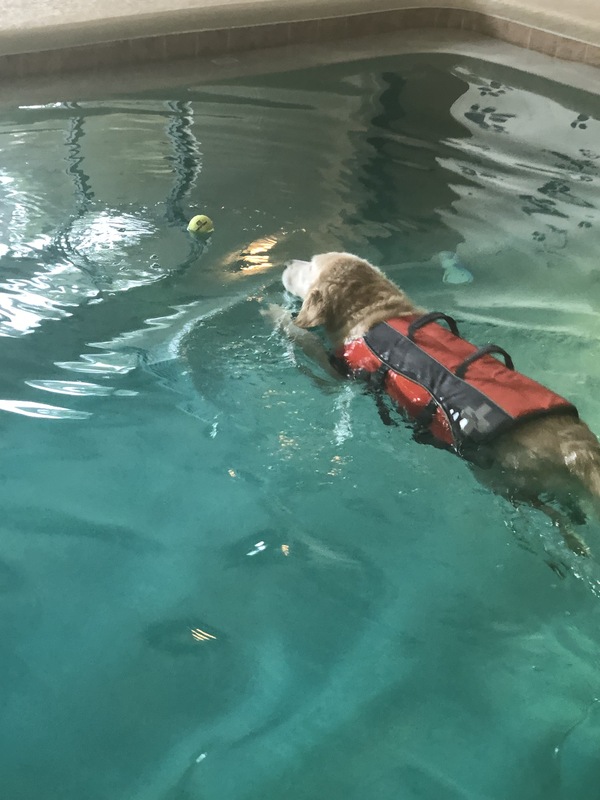 The combined effect of both resistance and buoyancy make these water exercises ideal for pets recovering from surgery, injury, and those suffering from joint pain. Muscle loss can be seen within 24 hours of surgery. 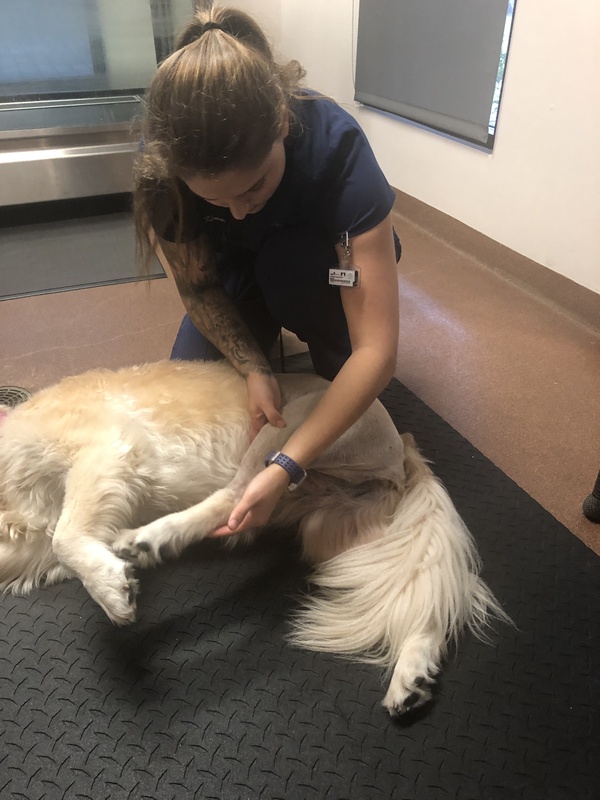 A profound loss of muscle mass can be seen in pets within six or seven weeks when they are not moving due to pain in their joints. 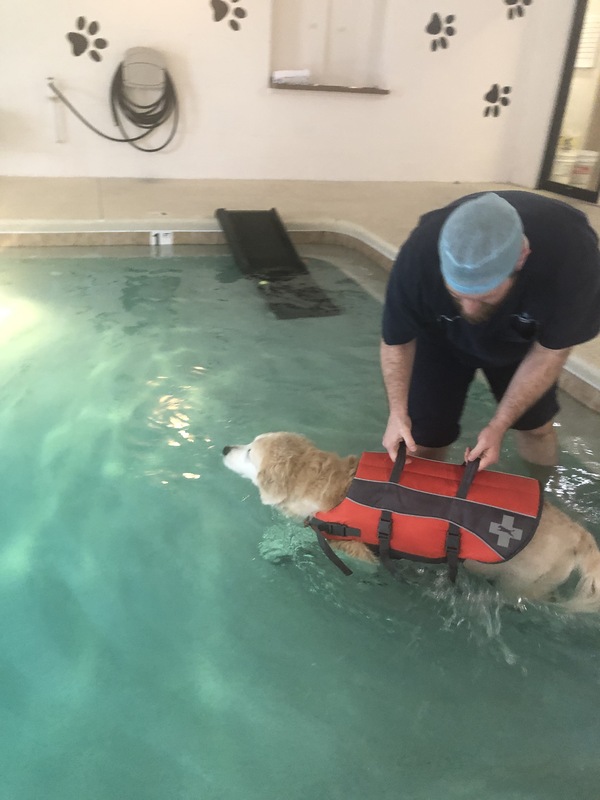 Our aquatic therapy program allows our patients to improve their cardiovascular fitness, build strength in their muscles, and maintain a healthy weight all in a completely, non-weightbearing environment. The thermal properties of warm water therapy have the added benefit of loosening stiff muscles and tendons, improving blood flow, and promoting relaxation. 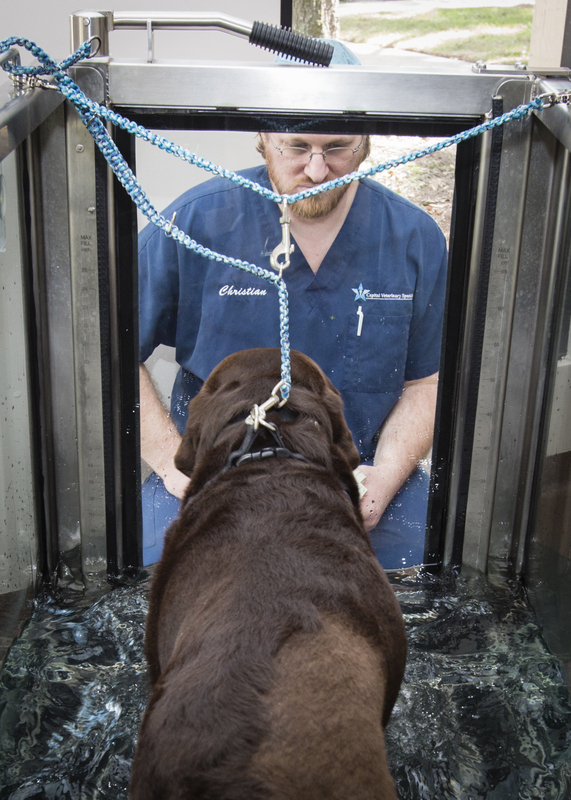 We typically see a reduction in swelling and fluid pooling in joints and limbs from the increased mobility and improved blood flow. Lastly, we know that the length of exercise needed in water is less than a similar exercise on land due to the increased resistance in water. 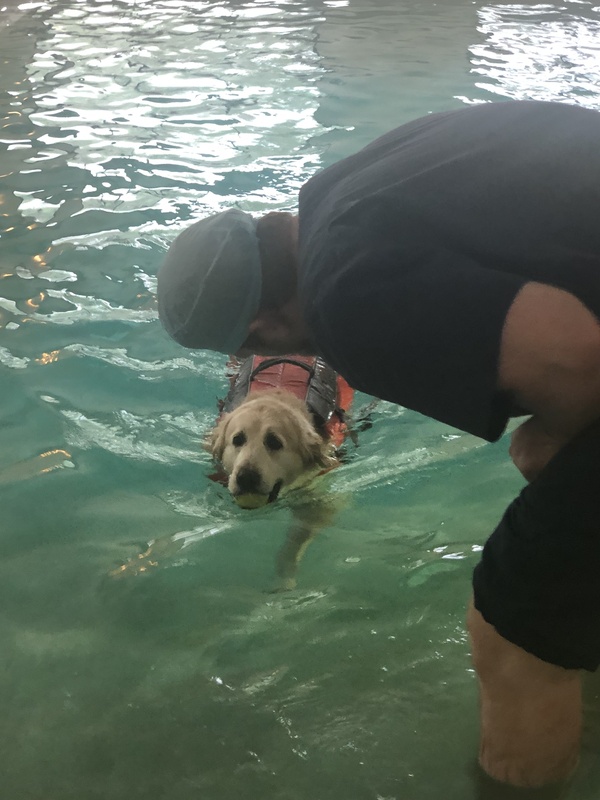 Whether you want to maintain your pet’s fitness, improve mobility and strength, treat arthritic pain, or get your pet walking on the road to recovery after surgery, aquatic therapy is an effective way of improving your pet’s quality of life and health. Call or come by for a consultation and evaluation. 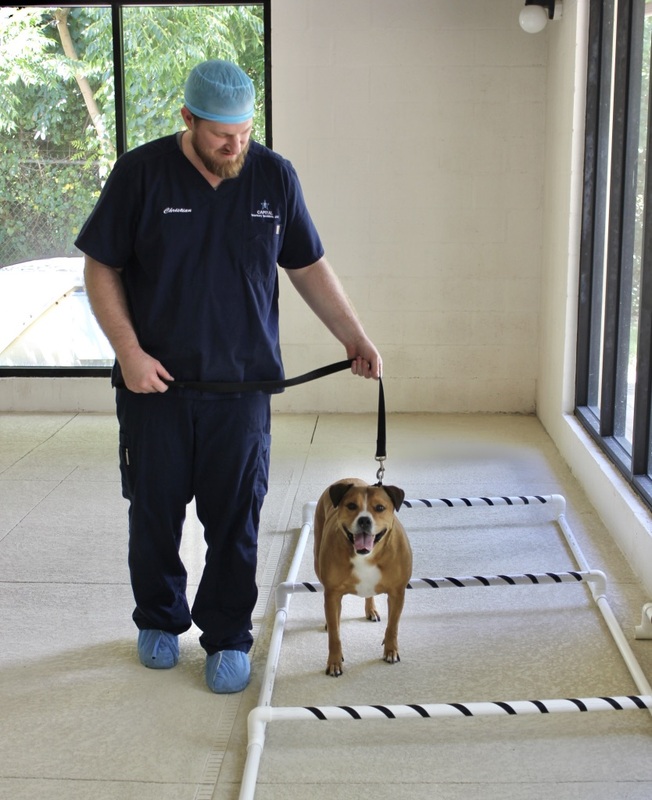 Physical Therapy was beneficial to "Toby" both mentally and physically. The care he received was outstanding, and I'm so thankful for all of you. 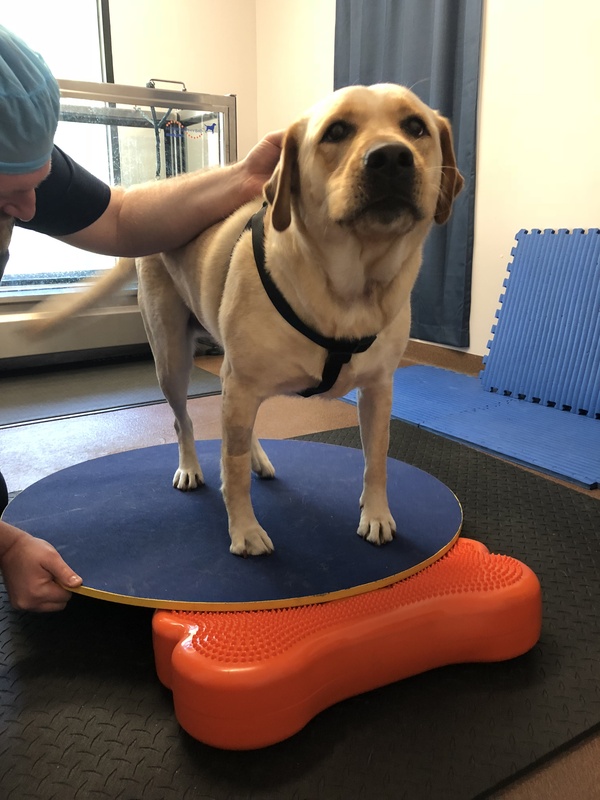 Physical Therapy is just as important for dogs after an orthopedic surgery as it is for humans. 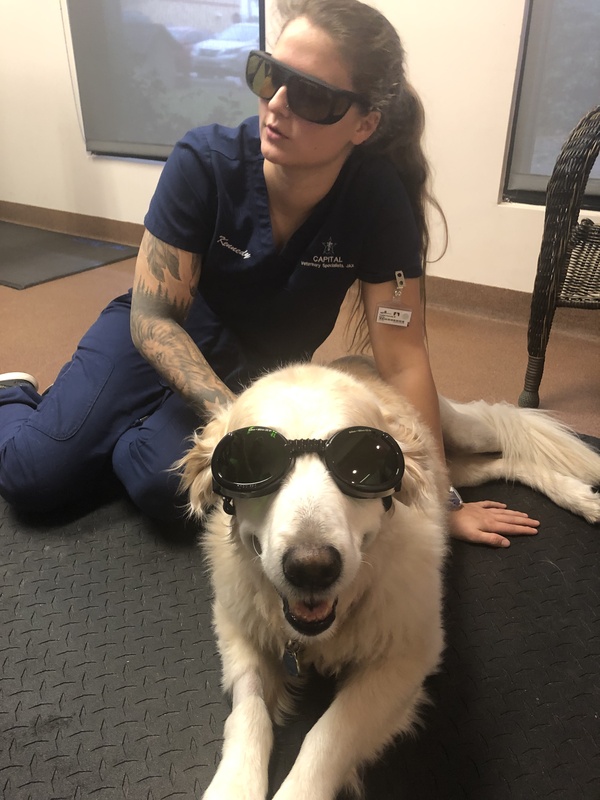 "Lucca" recovered much faster after the second surgery, and I truly believe it's from the physical therapy she received. I still use the techniques at home that Dr. Darrow and Christian taught me. "Baron" was not walking at all and was very depressed. Now he's running and playing with our other dog. He wouldn't be as mobile without the therapy. He's now as spunky as he was before his injury. 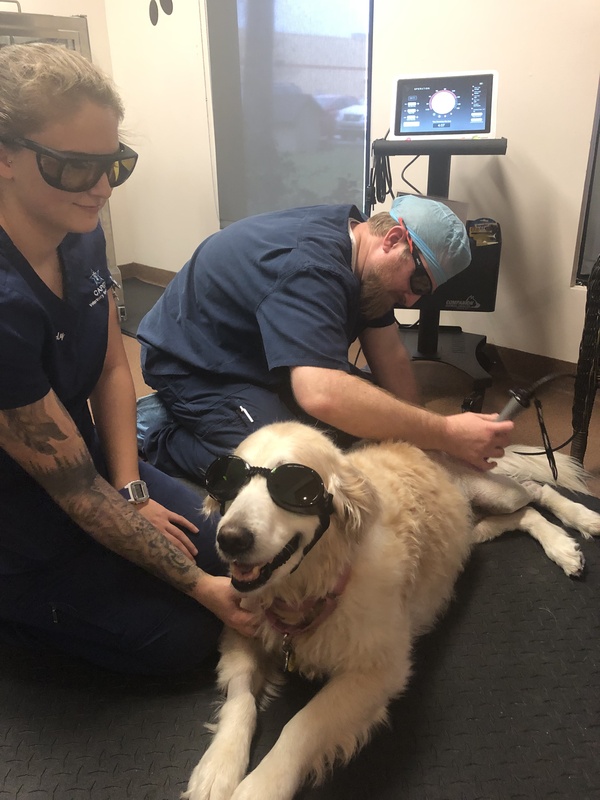 Capital Veterinary Specialists JAX now offers Medical Laser Therapy for your fur babies recovering from surgery and injury and is used in our Rehabilitation program. 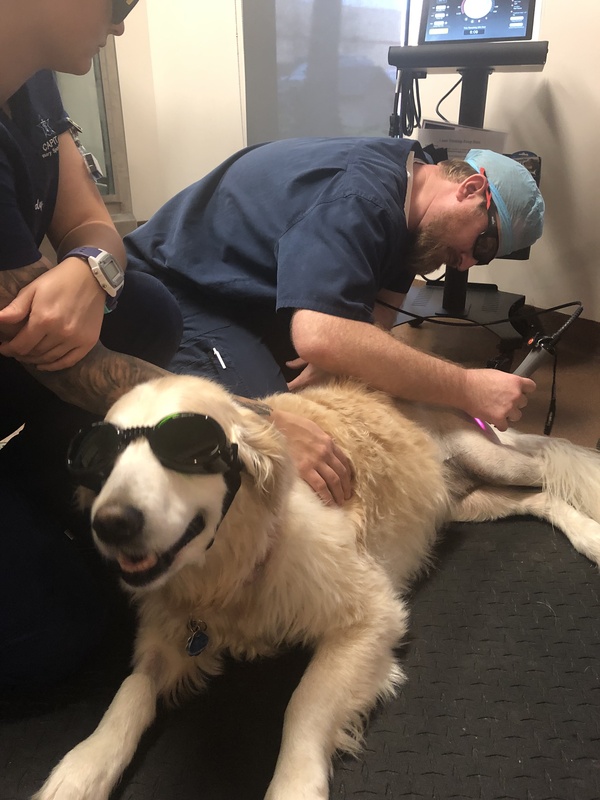 Many pet Insurance companies cover Medical Laser Therapy. Please call our office to see if your insurance company provides this benefit. 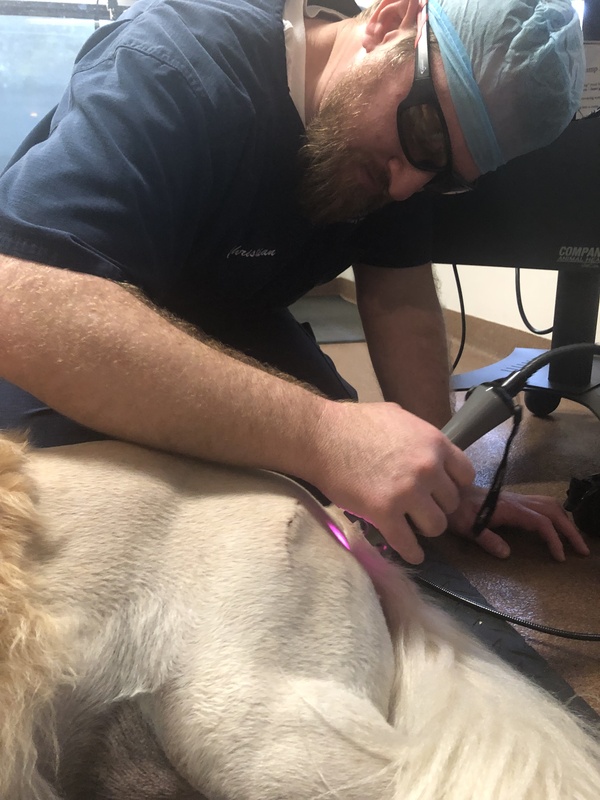 Please click on the link to learn more about the Companion Laser Therapy Unit by LiteCure and see how it works to stimulate the body's own cells to heal without drugs and without side-effects.